24K Gold Azur Trio Zircon Macrame Bracelet is a unique must-have style classic. 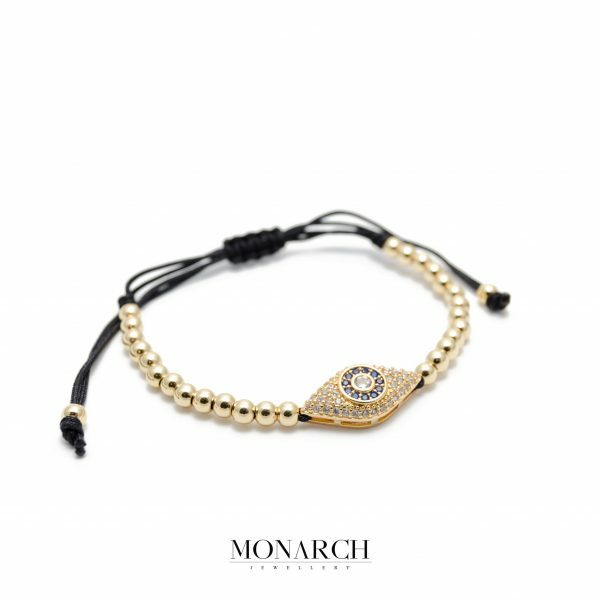 The 24k Gold plated bracelets are taking the luxury style to the next level and this Monarch unique creation is no exception. Matches any occasion and with a standout design it will get you noticed even in crowded places. 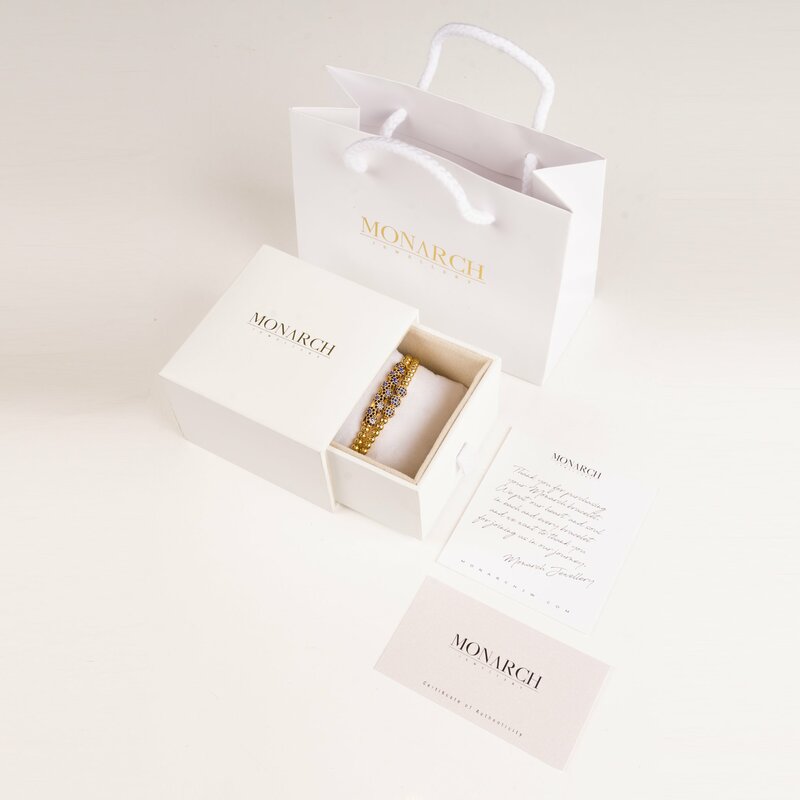 Perfect for stylish stacking, wear with another Monarch bracelet to personalize your individual style.